Over the weekend Gigabyte teased a new motherboard via its Aorus Twitter account. What we are shown is a closeup of a new motherboard with LED lighting illuminating the Aorus logo, PCIe slots, and other regions. 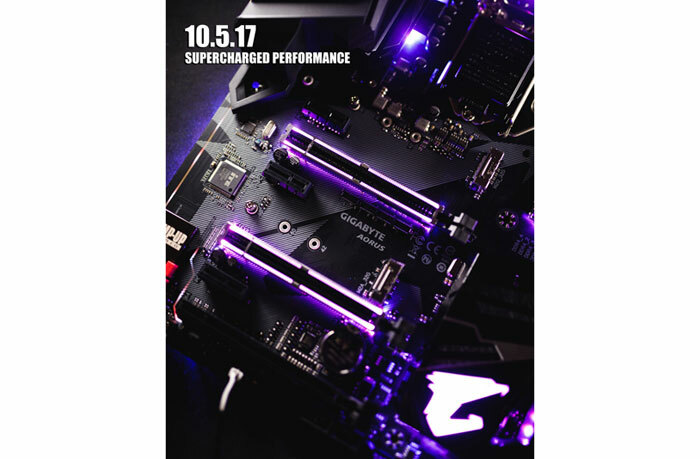 More tellingly the Aorus team provide a release date hint - get "supercharged performance" on 5th October 2017, says the caption. Alongside the above Tweeted photo and caption, Aorus has written "try and guess what this is". Many respondents suggest it will be a Z370 motherboard - and that looks to be correct. 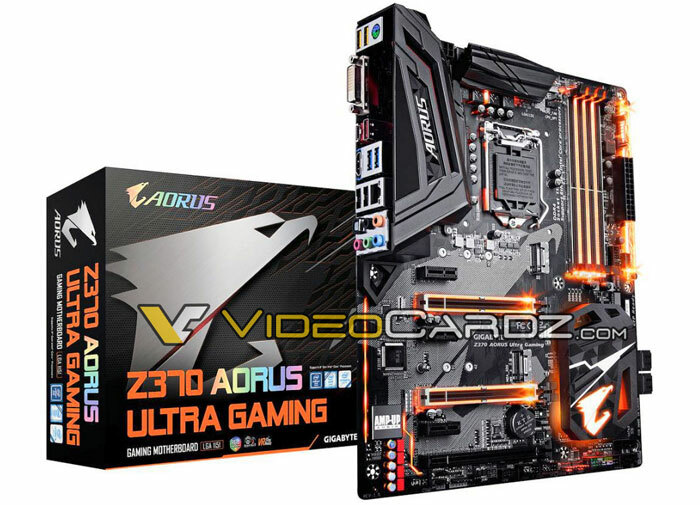 At the time of the tweet VideoCardz had already leaked a trio of Z370 Aorus motherboard product photos. The photo directly below looks to be the product teased by the Aorus Twitter account. It’s a Z370 Aorus Ultra Gaming (Coffee Lake) motherboard. The LEDs in this shot are orange, rather than the blue-ish hue of the Twitter shot because that's just the way they have been set, I'm assuming they are RGB LEDs. Videocardz says the Ultra Gaming model is the entry level motherboard of the series with two M.2. slots compared to three available on the Gaming 5 and Gaming 7. Additionally, the Gaming 7 has two Ethernet ports (Intel & Killer) and an extra M.2. shield installed. As you move up through the range Gigabyte offers improved onboard audio solutions too. All of the boards include a trio of reinforced PCIe slots. 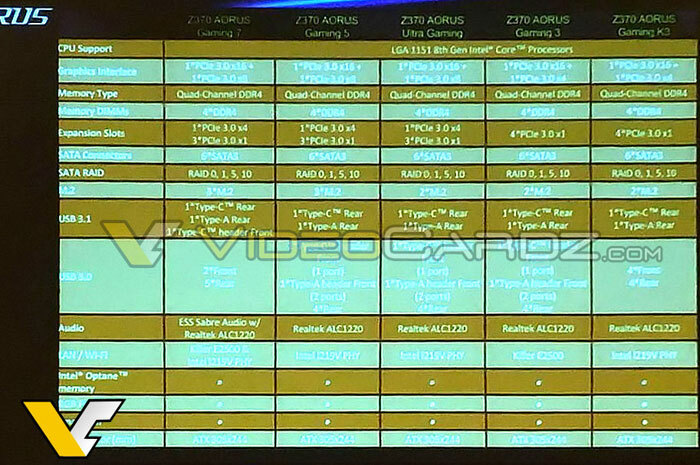 Since the above product pictures were published, Videocardz has uncovered an information slide from an official press event discussing the range. The blurry but still mostly readable slide, reproduced below, presents a specs table with the above three motherboards plus the Gaming 3 and Gaming K3 boards. I hope you can turn those tacky led's off. Surely if you didn't like the LEDs you'd just pay less for a board that didn't have them, rather than spending more for a board that did then turning them off…?